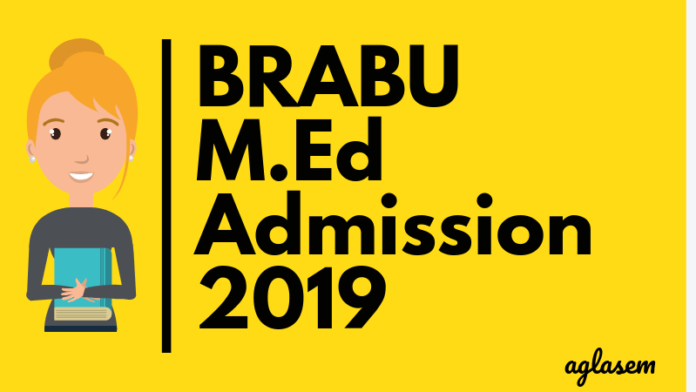 BRABU M.Ed Admission 2019 – Babasaheb Bhimrao Ambedkar Bihar University conducts an offline combined entrance test to fill its 50 seats. Candidates securing a minimum of 50% in average while pursuing either B.Ed., B.A B.Ed., B.El.Ed and D.El.Ed. are eligible to apply online at brabu.net. BRABU M.Ed Admission process starts in the month of September, every year and is wrapped up by mid June. Candidates are selected on the basis of their merit scores in the M.Ed. entrance test and thereby, qualifying for counselling round. To know more about BRABU M.Ed. 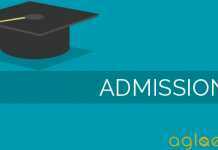 Admission 2019, candidate can keep reading! Interested candidates can download the BRABU M.Ed. Admission Application form, fill it in offline mode and submit it, along with the specified amount of BRABU M.Ed. application fee. Candidates can keep a track of BRABU M.Ed. related events from the table provided below. Candidates need to fulfill the eligibility criteria, as laid Babasaheb Bhimrao Ambedkar Bihar University for M.Ed. Admission. Application Form for admission into M.Ed Course will be downloaded from the official website of Babasaheb Bhimrao Ambedkar Bihar University as per scheduled date. Candidates must ensure their eligibility criteria before filling the application form. Candidates have to pay Rs 1000/- in offline mode. Last year, the mode of payment was demand draft. Candidates can check the exam pattern of M.Ed. BRABU, from below. Sections Covered – Basics of Education, Understanding the learner & learning process, Curriculum and curriculum transaction, Contemporary issues in school Education and Assessing the learner; Planning and management of school. Candidates can check the BRABU Combined Entrance Test for M.Ed. admission, from below. Education in socio cultural context of India: Role of education in social control & social charge. Equality & Equity in Education: Nature & forms of inequalities, inclusive education, provision for addressing inequalities – SSA, RTE Act, RMSA. Quality in Education: Strategies for enhancement of quality in School Education, Functions of NCERT, NCTE, NUEPA, for quality improvement. Role of teacher for quality education. Education for conservation of Environment: Protection and conservation of environment. Strategies for sensitising learners towards protection of environment and its conservation. Learning Assessment: CCE, Assessment of learning, Assessment for learning, Assessment as learning – its tool & techniques. Test construction: Characteristics of a good test. Statistics: Measures of variability, Correlation, Standard scores – Z score, T score, percentile. School Development plan & management, management of material, financial and human resources. Monitoring and Action Research: Mechanism of monitoring, conducting, reporting action research & follow up. Babasaheb Bhimrao Ambedkar Bihar University will release admit card for the exam. Candidates can download it from the official website either through Application No. & Date of Birth OR through Your Name, Father’s Name & Date of Birth. 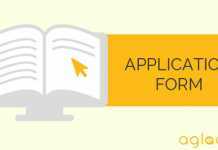 Candidates must bring the downloaded admit card at the time of the exam. With Admit card no candidate will be allowed to enter in the examinations. M.Ed Admission 2018 result will be declared by Babasaheb Bhimrao Ambedkar Bihar University. Candidates can check there result from the official website. Candidates have to use there roll number and date of birth to check there result. The direct link to check result will also be provided below. As per the official data, available on official website, by qualifying for this M.Ed. entrance test, a candidate becomes eligible to pursue the course from L.N Mishra College of Business Management, Muzaffarpur. Check its contact details from below! Fee Structure – Below, we have provided the fee structure of M.Ed. admission in L.N Mishra College of Business Management. By chance, if this fee structure gets changed, this year, we will update this page accordingly! For more detail about BRABU M.Ed Admission, Download Previous Year Information Brochure.